If you like to pilot choppers then this game is for you! 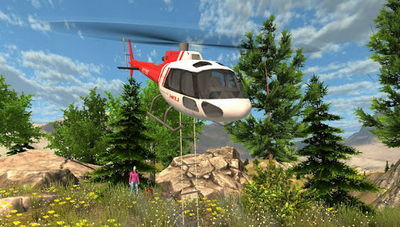 Enjoy infinite flight as you explore forests, canyons, hills and mountains, etc. 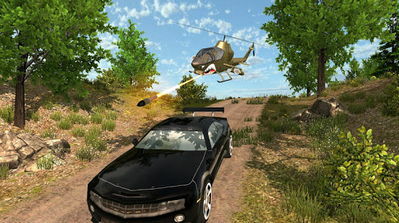 Play to complete various missions such as rescuing people, extinguishing forest fire, police chases, catching bad guys, and more. There are many helis at your disposal to enjoy, among which are military copter (like Apache or Mi-8), civil copter (like Bell, Hughes, Ecureuil), transport chopper, and more. Explore the map to find one of 20 spots to launch a mission, or you can fly around and do whatever you want freely... The minimap help you to know where are the missions spots.